Giuseppe Ungaretti was an Italian modernist poet , essayist and journalist. 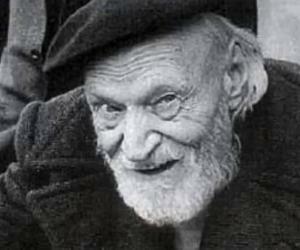 This biography of Giuseppe Ungaretti provides detailed information about his childhood, life, career, achievements and timeline. Giuseppe Ungaretti was an Italian modernist poet and a recipient of the inaugural 1970 Neustadt International Prize for Literature. He is considered to be one of the leading contributors to twentieth century Italian literature, particularly for founding the experimental trend in poetry known as ‘Ermetismo’ or ‘Hermeticism’. During his school days in Egypt, Ungaretti was deeply influenced by French symbolist poets like Stéphane Mallarmé. His ‘technique of obscuration’ is based on the symbolism movement and the belief that the poet is the custodian of mysterious secrets. His works reveal a preoccupation with philosophical questions like the mysteries of the cosmos and the insignificance of human life. He was also briefly influenced by the movement of futurism and supported the national irredentism movement. He served in the trenches during World War I and was appalled at the brutalities of the war. 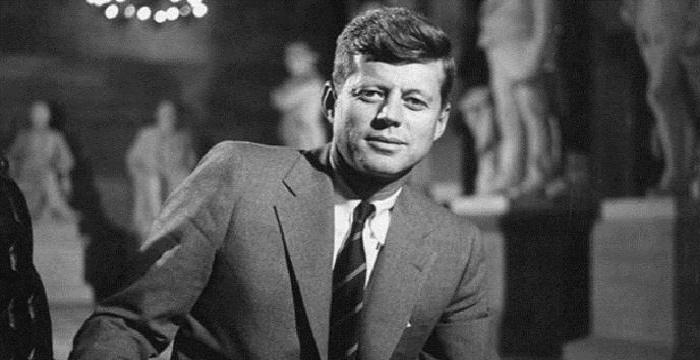 During the interwar period, he also served as a foreign correspondent for newspapers like ‘IL Popolo d'Italia’ and ‘Gazzetta del Popolo’. Ungaretti was a member of the National Fascist Party and a collaborator of Benito Mussolini but changed his Fascist views later in life. Giuseppe Ungaretti was born on 10 February 1888 in Alexandria, Egypt in a family from the Tuscan city of Lucca. Ungaretti's father died in 1890 while working on the digging of the Suez Canal Project. His widowed mother ran a baker’s oven to support her family and raised her child in Roman Catholic faith. He studied in Alexandria’s Swiss School till 1905. 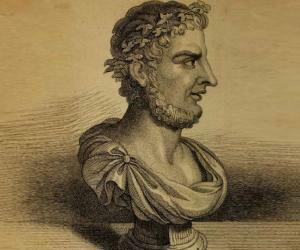 There he learnt about the Parnassianism and Symbolist poetry and also became acquainted with the works of classicists. During the same time, he began working as a journalist and literary critic. A few of his pieces came out in a journal edited by Enrico Pea, ‘Risorgete’. In 1912, he went to Paris to study at the Collège de France and the Sorbonne. There he came under the influence of surrealists like Guillaume Apollinaire and furiststs like Umberto Boccioni, Ardengo Soffici and Giovanni Papini. In 1915, Ungaretti enrolled in the infantry and he was posted at the Northern Italian theatre during the World War I. He was shaken by the brutalities of war and in 1917 published his first volume of poetry, ‘Il porto sepolto’ (‘The Buried Port’) which was mostly written during his term at the Kras front. When the 1918 armistice was signed, Ungaretti returned back to Paris, and started working as a reporter for Benito Mussolini's paper ‘Il Popolo d'Italia’. In 1919, he published a volume of French-language poetry, titled ‘La guerre’ (‘The War’). This volume stands out against the works of the ‘Lost Generation’ poets because it did not altogether dismiss the purpose of war. 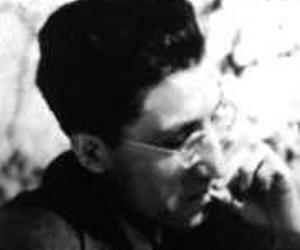 After coming back to Paris, he became increasingly associated with the Dadaists like Tristan Tzara and Enrico Prampolini. In 1919, he published ‘Aggegria di naufragi’ (‘Gay shipwrecks’), a volume that shows the influence of futurist poet, Giacomo Leopardi. In May 1921, he was present at the Dadaist mock trial of Maurice Barrès, an event which signalled the division of Dadaist movement. In 1921, Ungaretti settled in Rome as a Foreign Ministry employee. In 1925, he joined the ‘National Fascist Party’ by signing the pro-fascist ‘Manifesto of the Italian Writers’. In 1931, he became a foreign correspondent for ‘Gazzetta del Popolo’. During the same time, he introduced ‘Ermetismo’ or ‘Hermeticism’, the writing style that is indebted to symbolists like Rimbaud, Mallarmé and Paul Valéry. In 1933 he published ‘Sentimento del tempo’ or ‘The Feeling of Time’ which was a collection of all the poems written between 1919 and 1932. In 1936, he moved to São Paulo and started teaching Italian at the São Paulo University. In 1942 he became a professor of Modern Literature at the University of Rome, where he taught till his retirement in 1957. In 1947 he composed ‘Il dolore’ (‘Grief’) to mourn the death of his son. When the Fascist powers started declining, he was expelled from the University because of his Fascist past. However, his colleagues raised their voice in support of his returmn. 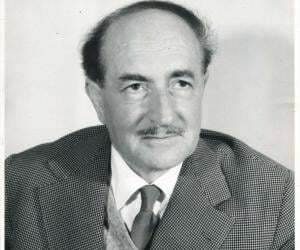 Other important poetry volumes that he wrote were ‘La terra promessa (‘The Promised Land’) in 1950, ‘Ill taccuino del vecchio’ (‘An Old Man’s Notebook) in 1960 and ‘Morte delle stagioni’ (‘Death of the Seasons) in 1967. 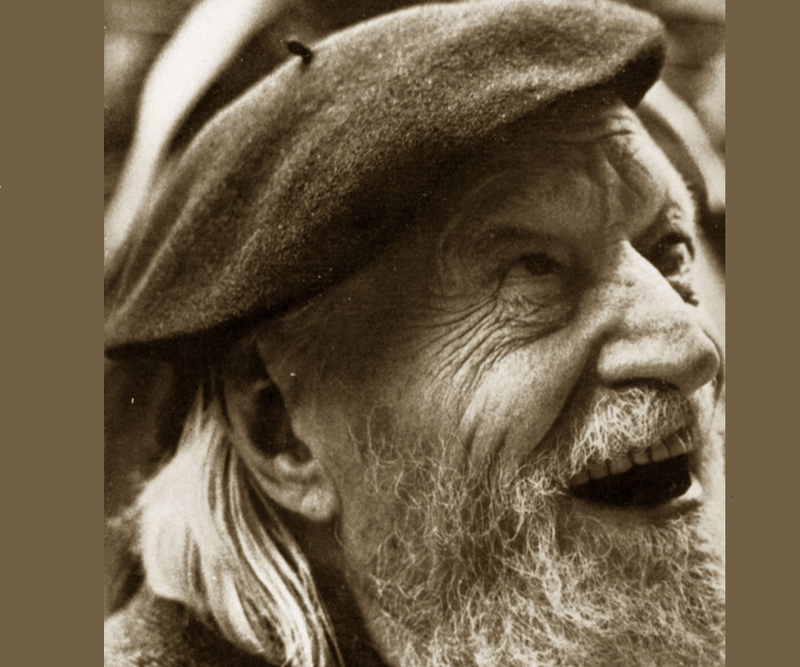 Ungaretti's first collection of verse, Il porto sepolto (1916) is considered to be his most influential work as it departed from the traditional forms of poetry. ‘L'Allegria’, previously called ‘L'Allegria di Naufragi’, is another important work where Ungaretti combines the poetic style of ‘poètes maudits’ and his experiences as a soldier. In 1970 he was awarded the Neustadt International Prize for Literature or Books Abroad Prize by the University of Oklahoma. In 1920, Giuseppe Ungaretti married a Frenchwoman Jeanne Dupoix. The couple had a daughter, Ninon (born 1925), and a son, Antonietto (born 1930). In 1939, his son Antonietto died as a result of a wrongly performed appendectomy. Ungaretti’s wife died in 1958. To keep himself away from grief, he travelled through Italy and abroad. During the last trip, Ungaretti fell ill with bronchopneumonia and died under medical supervision in Milan on 2 June 1970. He was buried in Campo Verano in Rome.